We at Barton Football and NEI have been traveling the Northwest over the last few months trying to make sure we cover all of the top athletes within the region. 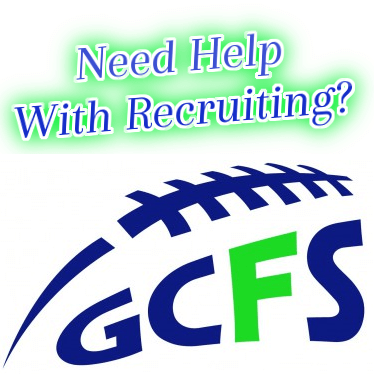 In the process we have seen a lot of kids come out of high profile programs, or certain areas with a lot of people. In Oakland, Oregon David Henry (6-0 225 Jr RB/LB) has been setting records on a state wide level and beyond. In 2011 the kid finished 2nd in the country in tackles per game (20.3-Max Preps) and 3rd in the U.S. in total tackles (243-Max Preps). He lead the Mighty Oakers to an (11-1) record and a State Semifinal appearance after almost single handily dismantling offenses during the season. He also added 16 sacks to his arsenal, while offensively running the ball for 1578 yards and 24 Tds, averaging 13 yards per carry. Between the two of them starting quarterback Logan O’hara desiginated himself as the team, “ball handeroffer” cracking jokes about his role. Head Coach Ben Lane has done an outstanding job of keeping everyone excited in the Oakland community. We all know how hard it is to get recruited out of the Northwest, now imagine trying to get looked at out of 2a Oakland. There are a lot of coaches at the highest levels that don’t reach out and let people know about their athletes. Lane to his credit was not going to let that happen. He played D1 ball himself at the University of Georgia so he knows what’s required, and he says “, David can play ball at an OSU, WSU, or Boise St, he’s that good…Ive been coaching here for awhile, and I’ve never had a kid like him”. Bold words from a guy that knows his football. Henry is extremely unique both on the football field and as a wrestler. Over the last two seasons on the mats he is (67-0) and attended the Greco Roman Nationals in Fargo, North Dakota earning All American Status. He was an Oregon State Champion as a sophomore and it is extremely likely that will happen again. He could pursue a wrestling career, but his love is football. Henry says, ” Im excited for our whole team, and Im really proud of some of the guys who have stepped up”. He continued, ” I want to win a state title, and be the best I can be in everything that I do, I won’t ever quit and I love my teammates”. Oakland had a 29 man roster this past season and Coach Lane says, “David only played in 4 full games making his stats even more incredible, we took him out a little after halftime in 6 or 7 contests to prevent from running up the score”. We are excited to be covering some of the smaller schools within the state, as talent comes from everywhere and we hope to be able to give equal attention to all of Northwest elite.